We are oh-so-excited about our first social media contest and all of the amazing friends and partners who graciously, and enthusiastically, donated their services to make the giveaways so desirable! 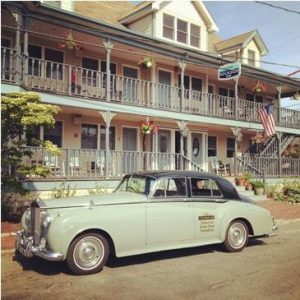 First, let me introduce your Martha’s Vineyard hotel accommodation: The Dockside Inn. 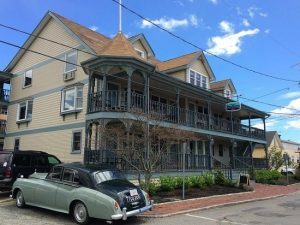 The Dockside Inn is a lovely boutique-style hotel, along Oak Bluffs Harbor where our Martha’s Vineyard ferry docks. 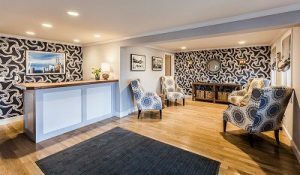 The conveniently located inn boasts 21 contemporary rooms, beautifully decorated with a nautical theme (our fave). There is a climate-controlled breakfast area with more than your average food and beverage selections. Just outside is a cozy, hidden patio if you’d rather take your coffee outside. The Dockside has free wifi, which is has become extremely important to the modern day traveler. I can attest, personally, to its comfort and cleanliness (my fave). Things to do. There is a board in the reception area that is updated every day with the happenings on the island. If you don’t know what to do, I guarantee you’ll find multiple ideas – great ideas – of what to do whether you’re traveling alone, with your family or as a couple. BEACH GEAR. Yep. You heard me. You want to go to the beach? Of course you do – it’s an island! There’s no need for you to pack (or buy) beach towels, a cooler, chairs, umbrellas, shovels or boogie boards! Tell me – who else does that? Loomis. What’s in a name? Loomis is a virtual concierge and is hands-down one of the most impressive ideas I’ve ever come across at a hotel. Number one in customer service concept. As a guest, you have access to Loomis during the length of your stay, 24 hours a day. Want to know what to do? Ask Loomis. Need directions? Ask Loomis. Have a question about the island? Ask Loomis? Want to know what channel your show is on? Ask Loomis. What makes him so cool is that he’s not a robot, he’s a person. It’s good to be mindful of what you ask for, too. Oh, the stories I’ve heard! In conclusion, what will it cost you to enter to win our social media contest to win a free night here plus much, much more? Not much. Just a click or two…. Good luck!